Hello Folks! 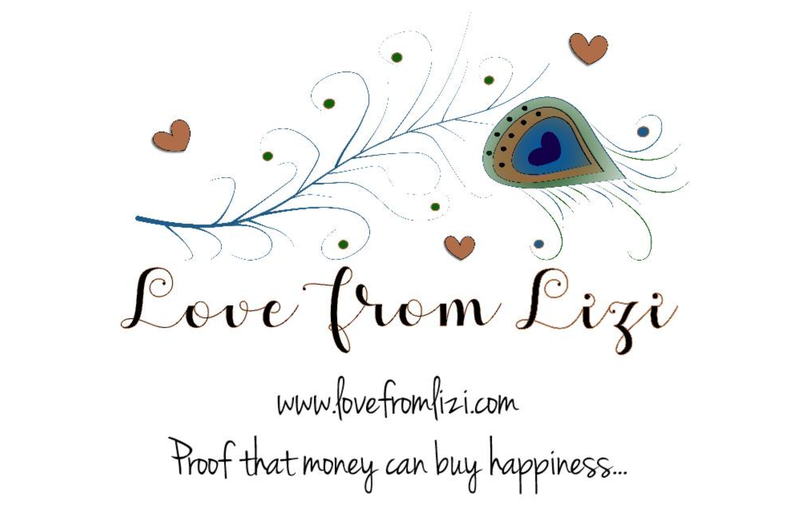 Scott here with my unboxing of the February 2019 Love From Lizi Card Kit! I must beg your pardon for my absence – I took some time off and did a lot of traveling over the holidays so I skipped the LFL January kit. I had a wonderful time with so many friends and family, but it’s good to be back at the craft desk again! We get started with five sheets of letter size (8.5″ x 11″) card stock in Navy, Black, alcohol-marker-friendly White, Cream and Aqua. I often save Lizi’s white card stock for coloring, and substitute a plain card stock from my stash. We get five sheets of specialty card stock in our kit this month! A full letter size sheet of Mint Green Pearlescent, and 4.24″ x 5.5″ pieces of Black Pearlescent, Gold mirror, White Pearlescent, and a Gold embossed – a nice, graphic linen texture. Very nice. We get 12 sheets of 6×6 pattern papers this month. A few peacock feather patterns, some retro catalogue images and some damask patterns as well as some standard stripes and polka dots in this great color palette. I’m glad Lizi likes peacocks! We are treated this month to Three 12″x12″ double-sided cut-apart sheets! This first sheet has 3″x4″ panels on one side with a number of sentiments and some great retro graphics, and the reverse features a large peacock feather pattern in an off-white tone-on-tone. Our second sheet features 2″ tiles with lots of phrases, some retro images, and a few plain tiles as well. The reverse revisits the peacock feather pattern in color this time – that would be great for a scrapbook background..! Our third cut-apart is a conglomeration of all sorts of “retro” phrases on the front and that terrific very masculine striped pattern on the back side. I’ve going to have to look some of these phrases up! LOL! We also get a 12″ x 12″ sheet of stickers!! Such a big variety here – from the long strip of ladies in the middle to frames and icons and small phrases. A great selection here! This picture doesn’t show them off to their best advantage, but our peel offs this month are Teal Mirror. Really lovely! Lizi also included this 6×6 inch piece of matte gold vinyl in our kit this month. I imagine that it should cut with dies and that you don’t have to have an electronic cutting machine to use this… we’ll have to experiment a little with this!! And now we have our embellishment bag! We get 4, meter length 1/8″ ribbons in Royal Blue, Black, Pale Blue and Teal as well as a 1′ length of Black Deco Mesh. Ive seen that mesh used on bows and wreaths and larger dimensional crafts… it will be interesting to figure out how to use that on a card! Our Nuvo drop this month are Sunlit Meadow Glitter Drops. We get a Pistachio Green Maribou feather and two Black Maribou feathers, and three pearl sprays – I believe each spray has three strands – very cool dimension with these! We also get a strip of small Gold Champagne gems, two wood veneer feather die cuts, a small pack of Gold Champagne glitter (seems ultra-fine!) and our sample pack of the “Attagirl sequin mix” with gold, navy, teal and oyster white sequins in assorted sizes. I did get a couple of the add-on paper packs this month – The Atta Girl Satin Card Pack with 6 A4 sheets in satin shine with a nice blue, a teal, three greens in light medium and dark tones and a gold. This picture does not do them justice! Perfect colors for this kit! I also got the Atta Girl Pearlescent Cardstock Bundle. Eight letter size sheets in a peach, green, gold, antique gold, bronze, grey, dark blue (LOVE THAT ONE!!!) and another mint green. I love the glimmer on these heavy card stock sheets. I think I’m lookin’ for some shine this month! Thanks for sharing your time with me here and keep an eye out for my 10 Card 1 Kit video featuring the Love From Lizi February 2019 Card Kit. This month, we have a flower shop theme featuring a windowed store front and all the accouterments! As usual, we get a 6″ x 8″ clear stamp set (with a stylish bicycle as well), 21 coordinating frame cuts (including the store front and window), and a fancy Easel Die with an inner board die. We also get 10 vellum envelopes and 20 envelope seals in two patterns, a tube of Pink Glimmer lacquer, and 10 sheets of 5.5″ x 8.5″ card stock in red and pink. We don’t often get card stock in our MMH kits… looks like we’re going to be making some valentines this month! Now, you know I’m not a big fan of pink, but at least valentine cards are the perfect place to indulge in a little bit of blush! This kit reminds me of the MMH August coffee kit that had that fancy cafe die. However, the storefront in this kit has a die AND a stamp! As I often do with a new stamp set, I did start by stamping all of the images with some VersaFine Onyx Black ink on Bristol Smooth card stock and colored them all with my Zig watercolor markers. Hero Arts always gives us high quality stamps and this set is no different. I really love that bicycle, and the store front is supremely versatile! Next I turned to all the dies in the kit and die-cut all of my colored stamps. Most of these dies were extremely easy to line up, but I did make a die-cut template for the bicycle and the watering can… there is something so satisfying about getting a nice even border around your images when they are die-cut. Especially with intricate dies like the bicycle. If you look closely, you can see that I also stamped, colored, and fussy cut another shop awning for a little added dimension during assembly. Let’s see how all these pieces come together on a card! I was really itching to put together this storefront, and was a little surprised at how large it actually is! Perfect focal point! As I did with the cafe fancy die in August, I found a ‘plant shop interior’ picture on-line, and sized it to scale with the shop before printing it out on plain paper. I glued a piece of acetate behind the window cut out, and added the second awning by gluing the top edge directly to the die cut and then adding foam squares to the bottom scallops. That gives us some great dimension on that awning as well a a place to ‘attach’ the hanging plants. I die cut a piece of white card stock with a Lawn Fawn Stitched Rectangle die, and using the MFT Mini Cloud Edges Stencil, ink blended some clouds on the background using Broken China Distress Oxide ink and my blender brushes. I reached for my coffee stirrers once again and glued a bunch of them together to make a bit of a ‘boardwalk’ as a base for my shop. I glued the stitched rectangle with clouds to a pink card base and added the coffee stirrer ‘boardwalk’ at the bottom. I did cover the printed picture of the interior shop with a piece of vellum that had Zyron sticker adhesive on its back in order to tone down the picture a little and make it appear more ‘in the distance’. I glued that pic down flat to the background and mounted the shop on top using foam tape strips (the bottom of the shop is glued directly to the ‘boardwalk’). I experimented with some shop names (see “Power Plant” in the picture of the die-cuts) and finally decided to go with “Plant one on me!” which I printed and cut using my Silhouette Portrait and the Bradly Hand font. I cut that shape three times and stacked the layers together for a touch of dimension before gluing them on top of the acetate window. That’s a nice valentine pun that actually could be a shop name! I did also stamp “happy valentine’s day” from the stamp set on the inside writing surface to round out the sentiment on the front! Finally, I added (most) all the plants and containers on the front of the shop using foam squares and multi medium matte. Looks like a pretty busy establishment here…! This kind of reminds me of little shops on the shore in New England — places like the Cape and Block Island. That is a really great storefront stamp and die – totally versatile for creating any shop you like! I’m sure that stamp and die will get a lot of use over the years! Love it! This card makes me giggle…! I used Broken China and Wilted Violet Distress Oxide inks to sponge through a Simon Says Stamp Falling Hearts Stencil on a piece of plain white card stock. After stenciling, I die cut that with an old LDRS Fancy Rectangles and Layers die. On a red card base, I traced around the metal die with an Emboss It pen and embossed that with white embossing powder. That makes a perfect mat without having to have another die..! I stamped the “be mine” sentiment and the music notes on the background with Onyx Black ink and then mounted the white panel to the card base using some fun foam cut to size. I glued the birdcage to the balloons, and attached them to the front of the card with foam squares. A little HA Crystal Clear Lacquer on one of the balloon hearts for shine, and we have a “deceptively simple” yet “fraught with complexity” Valentine card! Makes me giggle!! The easel die included this month is 5 and 3/8″ tall so, of course, it’s just begging to be made into a shaped card. I’m sure everyone is thinking the same thing! I wanted this to look as much like a chalkboard sign as possible so I die cut the easel from a piece of the red card stock from the kit and did a partial die-cut on some 100# black card stock from my stash. I thought I’d get a little more stability to this shaped card if I didn’t cut out the curly-q’s on the top of the back panel. I simply fussy cut the top outline on the back piece, scored a folding line and glued the front and back together at the hinge. I die cut the front “board” from the same black card stock and cut the same “board” from some plain white card stock for the inside writing surface. I couldn’t decide which kind of a day I would be wishing for someone, so I decided to use ALL the adjectives in the stamp set and decide later! I stamped everything using HA Unicorn White Pigment ink, colored the tulips and the crate with colored pencils, and drew on the check-boxes with a white colored pencil. A little white chalk for distressing around the edges and this feels very much like a sandwich-board you would find on a sidewalk outside a cafe or bar! The check-boxes makes this sign feel very active and hand-drawn – I’ll probably check ALL of them when I use this card!! GREAT die for a uniquely shaped sign card any time of the year! I started thinking that all the small flower stamps included in this kit would work to do another wreath card, but then I realized that I should do a heart wreath instead! I did practice this pattern to begin with! I traced a heart die from my stash on a piece of plain paper and, starting at the bottom point, alternated between the roses stamp, then the small daisy stamp on both sides, the roses on both sides, then the small ‘ivy’ stamp twice, two more roses again followed by two more small daisies, then two more roses and ended with the ‘ivy’ stamp at the center indent. So that’s 7 roses, 4 daisies, and 3 ‘ivy’ stamps. Perfect! I reached for a pink card base and decided to stamp this wreath directly on the card base. I used my MISTI stamp platform and simply lined up the stamps with my paper practice piece and then stamped on the card front. I did make slight adjustments here and there but got a pretty good replication of my original trial-run. I did go in with my 01 Pigma Micron pen and added some matching shapes to fill in areas that I thought were a little thin. Very pleased with this arrangement! Fills up the card nicely! I was afraid that trying to color all the flowers on this wreath would drive me to drink, so I decided to only color the leaves on the roses and ‘ivy’ and add some white gel pen to the dots on the daisy stamp. Just enough color to add a little interest while still preserving the ‘retro’ feel of the image. I added some dots of the Pink Glimmer lacquer along with a few pink crystals and one sequin for a little sparkle and dimension. I did add another valentine sentiment on the inside writing surface of this card and I am over-the-moon thrilled with this shaped wreath! I am going to have to try stamping this again on white card stock and actually try coloring ALL of the flower images… There’s a challenge for ya! I do still have my bicycle cut-out from my original stamping and coloring – let’s use that! I stamped (Onyx Black ink) and colored (Zig watercolor markers) the balloons stamp five times and fussy cut them all out to make my overflowing stacks of hearts for this Valentine. I used Broken China Distress Oxide ink and my blending brushes to create the background on some white card stock die cut with a LFSRD. I matted that on a piece of red card stock from my stash and glued those down to a pink card base. I stamped, colored and fussy cut another wooden crate to go on the back of the bicycle, and filled that and the basket with the colored hearts. Using my Lawn Fawn Grassy Border die, I cut two colors of green card stock and sized those to fit the background with the LFSRD. The lighter green is glued flat to the background and the darker green is mounted with some foam tape. I stamped the 3 hearts on the background using the 2 heart stamps from the kit with Onyx Black ink and HA Red Reactive ink, and added this sentiment from the HA Many Everyday Messages stamp set. I wanted some kind of active verb to go along with the notion of a bicycle – deliver, bring, distribute, transport, etc…. and when I found this “sending love” sentiment, I though it was just right. The bicycle and hearts are mounted to the card front with foam squares, and, with the addition of some Spectrum Noir Clear sparkle pen on top of the hearts, we have a fairly simple yet very attractive card! The red and green really pop without looking anything like Christmas!! LOL! For some reason, I thought sending some bouquets soaring would make a nice Valentine. I stamped and colored three of the rose bouquets and three of the balloon stamps in pinks, reds and purples and die cut them all before gluing them together, I grabbed some lilac card stock from my stash, distressed the edges with some Wilted Violet Distress Oxide ink, stamped the “i love you” sentiment from the stamp set using Deep Purple Archival Ink and embossed that with some clear embossing powder. I matted that to the other half of the red card stock from the easel card (cut with a LFSRD) added another mat of my lilac card stock and glued those three pieces to a red card base. The balloons and bouquets are mounted with some foam squares, and for a little shine, I added the HA clear lacquer to the whole balloons in front. I think it’s a very nice touch that this bouquet stamp actually has 12 roses in it. That great attention to detail is something I’ve come to expect from Hero Arts! I did add a “happy valentine’s day” stamp on the inside writing surface, and I really love the whole purple and red palette on this card! Now I don’t believe 3 dozen roses are in my budget, but this is a lovely substitute! I promised myself I would do a straightforward valentine with the “happy valentine’s day” sentiment on the front of a card, and that storefront stamp is a good excuse to practice my red Spectrum Noir alcohol marker blending. Practice makes perfect! I stamped the shop using VersaFine Onyx Black ink on some smooth alcohol marker card stock, and used my Bright Pink, Dark Red, and Coral markers to color the shop. It’s no coincidence that Living Coral is the Pantone Color of the Year!! I really like the awning (there’s that coral color right there) and the shadow under the awning seems right on the money too. I channeled my inner Sandy Allnock and colored the sky, clouds, grass and gravel with my alcohol markers as well, and cut that piece down with a LFSRD. I fussy cut the window opening and stamped the sentiment directly on the card front and did some light ink blending around the sentiment with Worn Lipstick Distress Oxide ink. I mounted the shop to the card front with some foam tape and turned to the bicycle and balloons once again. I fussy cut a single balloon from the double balloon stamp and used white gel pens to camouflage the stray black outlines from the white borders of the single balloon. I die cut the green bike (using my die template again) and added the “ivy” plant in the basket, glued the balloon string to the back of the bike and mounted all with foam squares. Some more clear lacquer on the balloon for some shine, and this valentine is ready for a cyclist who really likes pink!! LOL!!! I am certainly no expert with alcohol markers, so I appreciate this large shop stamp that affords me a chance to practice! I have now used every sentiment stamp in this kit – let’s break out some more PUNS!! LOL! LOVE THIS!! About as much as I love YOU!!! This is my Single Layer Card for this month. Just stamping and masking on Bristol Smooth card stock and Zig marker coloring. I added the ‘frozen pond’ stamp from the MMH October kit to provide the puddle underneath the plants which really drives this sentiment home…! LOL! I printed this sentiment directly on the card stock using my Silhouette Software (it’s free!) and the Typewriter Hand and Brady Bunch fonts. I die cut the card front with a LFSRD, matted that on a thin black mat and glued those down to a red card base. I did take the time to add the “happy valentine’s day” stamp in a landscape arrangement on the inside of this card. I love this pun so much! That watering can stamp provided the perfect opportunity! This card never fails to makes me laugh out loud! I was also interested in trying that easel die on a card front to see how that would work, and it provided me with another opportunity for a darn near close-to-perfect pun! I die cut the easel with the inner board die out of some wood veneer sheets from my stash, and attached black card stock behind the easel frame. I was thrilled with how much dimension that conveyed! To continue the ‘real wood’ theme, I stamped the crates on more wood veneer sheets as well. I did fussy cut the wooden crates, attached them to some scrap white card stock and fussy cut them again with a thin white border to match the die cut flowers. I did do a tiny bit of shading on the easel with my alcohol markers, but left the crates as is. The sentiment is die cut from thick white card stock with a die-versions “Gatsby” font die. I think this is the first time I’ve actually used this die – fits perfectly on this easel! I distressed the edges of my last pink card base with some Worn Lipstick Distress Oxide ink and glued the completed sign directly to the card base. I used foam squares to ‘stack’ the crates at the base of the easel, stamped, colored and die-cut another batch of the flowers to fill up the crates, and added some white chalk blending around the edges of the sign for a little bit of distressing. Love this pun!! Definitely a theme appropriate pun! For my last card this month I couldn’t resist this terrific, musical, pertinent pun! Finally, I used the die-cut watering can! On Bristol Smooth card stock, I stamped these plants using Onyx Black ink and used the plant mask I made for card #8 to make the center plant taller. I colored those with my Zig markers and turned to my Silhouette Software for this sentiment. Again, I used Typewriter Hand and Brady Bunch fonts for this oh-so-perfect valentine sentiment! I began to reach for my LFSRDies when I remembered that I had gotten the Simon Says Stamp Frames dies during the holiday sales… the large scalloped frame is just the right size! I die cut the card front and a piece of purple card stock from my stash, and mounted those together on the last red card base. That scalloped frame goes well with the purple flowers! I reached for my DMC light silver metallic thread to make the ‘water’ streaming out of the can – I coated the thread with multi medium matte, to help hold it’s shape, and glued the ends to the spout and, after mounting the watering can to the card front with some foam squares, I glued the other ends of the threads to the plants. I did add another “happy valentine’s day” stamp on the inside writing surface, and that wraps up this fun valentine! I love the dimension that the thread gives us here, and I think it provides just the right touch of sparkle on this card! And, of course, I LOVE the little double-entendre in this perfectly relevant pun! I originally though it might be difficult to create a bunch of valentines featuring flowers and a storefront, but I embraced the challenge and ended up with 8 valentines and only 2 ‘encouragement’ cards. I did use all of the card stock included in the kit and you can bet that all these cards will go in the vellum envelopes for distribution! I really strive to make all of my cards little works of art that tell a story or suggest a situation – I think this is a handsome set of cards that aren’t too frilly and feminine but still convey heartfelt sentiments and lots of love…! Happy Valentine’s Day, indeed!! I cannot thank you enough for making it all the way through this post – the time you share with me here is truly a blessing! Please let me know if you enjoyed my take on this kit and which card(s) you like best! Feel free to share this post with everyone you know, and remember to Like Me, List Me, Pin Me, Post me – don’t run with scissors – and, as always, Happy Crafting!!! Hello Folks! Scott here with my 10 cards featuring the Love From Lizi December 2018 Card Kit. We have blown past the holidays and into an early dream of spring with this kit featuring butterflies and flowers in a soft palette. This kit HAS SOLD OUT at lovefromlizi. If you want to guarantee you don’t miss out on any of the fun, become a subscriber and enjoy some terrific perks! If you go shopping at LFL please use my link: http://bit.ly/LFLlink ! As usual, I did cut all the card stock included in the kit down to A4 card bases, (4.25″ x 5.5″) substituting my own 110# white card stock for the smooth white alcohol-marker-friendly card stock included in the kit. For some reason, as I sat down to work with this kit, my eyes went to the two puffy bird stickers on the top of the sticker sheet. Looks like a (brightly colored) male and a (drab colored) female – and that “thinking of you” sticker is right there too! I thought this would be a smooth and easy introduction to this kit. On the Smoky Grey card base, I added a 2.25″ strip of that interestingly striped pattern paper, and glued two strips of the ivory lace ribbon to the top and bottom. I used my Multi Media Matte to glue the trim down – paying extra attention to the ends to prevent fraying at the edges of the card. Then it was a simple matter of powdering the back of the puffy stickers and mounting them to the card front with foam tape. They are kind of ‘perched’ on the stripes of the pattern paper, and appear to be looking at each other! I added one of the purple heart buttons and some Nuvo Drops on the right for a little shine and a touch more dimension. Needless to say, that lace trim adds a ton of texture to this card and everything matches up quite nicely. Easy enough! I still feel like I’m just starting to get familiar with this kit and remember seeing Lizi stamp and emboss directly on one of her doilies with her 10 cards, so I wanted to see what that would happen if I used the Wilted Violet Distress Oxide ink to stamp a doily. I thought that color went with well with the heart buttons and I really like how the stamping highlights the texture of the doily. I glued two doilies together for a little added stiffness, and foam taped them to a 3.5″ circle die cut from one of the pink pattern papers, and them foam taped that assembly to the front of the Vanilla Ivory card base. The “Have a beautiful day” sentiment inspired me here, so I used the small bunting banners and a variety of the heart buttons to create the suggestion of a sunburst. That added some texture and a lot of shine to the front of this card! For a final touch, I added some Nuvo Drops on the doily itself to bring everything together. More purple than pink, I think the vanilla card base mellows everything out, and these sentiments are lovely! Now, most everybody knows I’m not a big fan of pink… and Lizi likes to tease me about it as much as possible. Since this kit had a fair amount of pink, I thought I should pay tribute to that fact, throw caution to the wind, and do an all out “YES, this is PINK” card! I was a little bit enamored with this spot gloss pattern paper but thought that I could tone down the pink just a little bit. So I trimmed the dark pink panels off and used only the light pink panels for this card. I also reached for the pattern paper that has the identical chevron trim in more of a brownish / burgundy color and trimmed a few strips away to use in place of the pink chevron strips. I think this worked very nicely! It looks like a normal piece of pattern paper and it still boasts its pink-ness without screaming about it out loud! I matted that assembled pattern paper to a piece of the plain pink pattern paper and then to a thin mat of the brownish / burgundy pattern paper to match the chevron trim. I colored a piece of the white lace trim with a PL1 Spectrum Noir alcohol marker to match the sentiment sticker, and glued that to the top and bottom edges of the card front before attaching it all down to a white card base. Again, I powdered the puffy stickers to remove the adhesive and attached them to the card front with foam tape. Finally, I used three of the paper flowers from our embellishment pack for a small arrangement on the top right of the sentiment, and here we have a VERY pink card that I actually enjoy a lot! I think finding the PL1 alcohol marker that matched the sentiment was the shining moment that actually brought this whole card together! And isn’t that a butterfly on there too!! LOL!! It’s not that I don’t like butterflies. Of course I like butterflies! I just happen to think that they are a tad over-used as a decorative element. Truly, I think I have been lucky that this is the first stamp set I have received in a kit that features a butterfly stamp set. I believe I finished my ‘Year with Simon Says Stamp” just before they featured a butterfly stamp set in their kit! I was pleased to find that the butterfly stamps in this kit are quite nice! This is my “No, it’s NOT pink, it’s BLUE” card! LOL!! I started by using the stencil included in our kit to do some light ink blending on the three large butterflies with Hero Arts Soft Sky ink on some plain white card stock. That Soft Sky ink is a good match to the soft blues in this kit! I then completed the butterflies using the stamps and VersaFine Onyx Black ink and then fussy cut all three. On the other Vanilla Ivory card base, I attached a background panel of the glittery blue flower pattern paper and outlined that with the thin Sky Blue Mirror peel offs. I added a 1.5″ strip of the blue textured pattern paper to the left and edged that with the medium peel offs. I decided to try stamping this sentiment directly on the pattern paper background, using Onyx Black ink. That worked well, but I did have to go in with a permanent black marker to fill in the ink over the glitter portions. Maybe StazOn black ink would cover the glitter better but I just reached for a sharpie to fill in the glitter sections. That worked very well and I like the sentiment stamped directly on the pattern paper. That gives these three butterflies the chance to really shine by giving their wings a slight fold and gluing their bodies to the card front. I did stamp the antennae from the butterfly body stamps on the blue pattern paper so I didn’t have to try and fussy cut their antennae! There is a little Spectrum Noir glitter pen on the butterflies and I added three of the pearl embellishments to the top right for some balance and texture. No pink at all here, and I really like these three large butterfly stamps. Nicely detailed and perfectly sized to work with the stencil included in the kit as well. Not a lot of room for ink blending with these stamps, but I am looking forward to coloring some of these butterflies! A plaid pattern paper almost always feels pretty macho, even when there is pink in the plaid! Using a Lawn Fawn Stitched Rectangle die, I cut out a piece of the plaid spot gloss pattern paper with the plaid pattern carefully centered. I decide to camouflage the very pink stripes with thin 1/8″ strips of the gold satin mirror specialty card stock, and added a eighth-inch mat of the gold behind the plaid before attaching the background to the Forest Green card base. I stamped and embossed the sentiment on a scrap of my Staples Ivory card stock using Iced Spruce Distress Oxide ink and some Ranger clear embossing powder. That’s a pretty good match to the grey-greens on the pattern paper. I cut the sentiment out with one of my Darice Square Nesting dies, did some light ink blending around the edges with some Antique Linen Distress Ink, and then added a 1/8″ mat around the sentiment before foam taping that piece to the card front. I think we can call this a resounding success in my effort to butch-up this card kit a little bit! Fairly simple, but enough satin shine and spot gloss to make it a little special without adding any frills! OKAY! Enough with obsessing over the themes in this set – let’s just have some fun! Now this feels like a Scott Card! LOL!! I stamped five of the butterfly stamps using Onyx Black ink on some Bristol smooth card stock and colored them using my Zig Clean Color Real Brush Markers. YAY! These are really nice stamps and, as far as I’m concerned, are kind of begging to be colored! I die cut the stamped card with a LFSRD and added a Silver Satin Mirror mat behind that, and attached all to a Forest Green card base. I colored a scrap of card with the same Cobalt Blue brush marker and die cut the “thank you” sentiment from that and from another piece of plain white card. I glued them both together for a touch of dimension, and then directly to the card front. A few sequins from the sequin mix add a little sparkle and what a nice Thank You card! This card makes me happy, and I am quite sure that “thank you” die will come in very handy over the years! Now I have effectively used all the stamps in this stamp set. Okay, I didn’t use every little butterfly body but I’ve used all three sentiments and all six butterflies. Now for more!! For this next card, I fussy cut the edges on the butterfly (or are those moths? LOL!) pattern paper creating a 2.125″ center panel with cut edges. I glued a 4″ x 5.5″ panel of the grey-blue polka-dot pattern paper to a white card base and added the butterfly panel to the center with some foam tape. I turned to my Silhouette Software to print this sentiment on a piece of the same polka-dot pattern paper using the Noteworthy font and the Sign Painter font and then die cut that with my Spellbinders Deckled rectangle die. I did cut two more of deckled rectangles from white card to glue together with the sentiment for a chip board feel and then mounted that to the card front with foam tape. The small pearl embellishments highlight the center polka-dots on both sides of the background and add a little bit of shine. I think this sentiment is perfectly in line with the theme of this kit and I love that it alludes to the metamorphosis of butterflies (or moths!) or US! LOL! I’ve got a couple more sentiments up my sleeve, and we haven’t played with the embossing powder included in our kit yet, so let’s have at it! I know Lizi calls this her Ivory Pearl embossing powder, but on this Smoky Grey card base it looks like a wonderfully soft, almost translucent gold. I stamped the two largest butterfly stamps in an easy arc over the top of this card base using VersaMark ink and embossed them with the Ivory Pearl powder. Following along with the ‘encouragement’ theme in this kit, I again went to my Silhouette Software to print this sentiment on a piece of the grey-blue pattern paper in the Rockwell font and the Ballerina Script font. I die-cut that piece with a stitched circle die and traced around the die with my EmbossIt pen to add that same embossing around the sentiment. I glued the sentiment directly to the card base – that gives us a one-layer card with a perfect sentiment for many occasions. I did take the time to do one more embossed butterfly on the inside writing surface of this card. The embossing powder is a little more Ivory-ish on a lighter card stock but still has lovely hints of soft gold…! So very pretty! I have to see what that looks like on some black card stock! On my last 10 card video I did a little playing around with deco-foil Transfer Gel and rainbow foil, and I thought these butterflies gave me the perfect excuse to try that again! Success! I used my deco-foil Transfer Gel with the stencil in the kit, and was pleased to get a pretty darn smooth application on this white card base. After pulling this out of the laminator and jumping for joy, I just couldn’t bring myself to add anything else to these butterfly wings… I just knew I would screw this up if I tried to stamp anything on top! I decided on this simple sentiment and used my Silhouette software to print this on a black background using the BlackJack font. That sentiment banner is trimmed down to 1″ wide, sprayed with some Sheer Shimmer Spritz spray and mounted to the card front with foam tape. Enough said! I LOVE this card! That stencil should work well with all kinds of embellishment mousses and glitter pastes… endless possibilities! Which brings us to our last card of the month! A huge shout out goes out to one of my subscribers (HELLO, KATE!) who, after seeing my two light-up cards using the ChibiTronic LEDs sent me a huge batch of multi-colored LED’s that work with a 3v button battery. A bit thicker than the Chibi lights, they work just as well and are MILES cheaper! I took a 4.25″ x 5.5″ piece of the green textured card stock and traced the stencil of this butterfly on the center top and used my craft knife to cut it out. I did the same with a piece of black card stock matching the opening and edges. I stamped the butterfly on a piece of vellum (two or three times) using StazOn ink to get as dark a stamping as possible (I don’t have any black embossing powder). I did stamp and clear emboss one of the butterfly bodies on the pattern paper between the wings and made the body a little longer so the antennae would really show up. I used my Silhouette software again to print “light up my life” in the Bradley Hand font on the pattern paper to go along with the “you” die cut from a Lawn Fawn Scripty Borders thank you die (2 pieces glued together) in white. Once the stamping was dry, I glued the stamped vellum behind the opening on the pattern paper and glued a piece of transparent yellow glassine on top of the black card stock. Then I glued both of those pieces together making sure to line up the openings and the edges. I trimmed that double piece down to 4″ x 5.25″ to leave a little bit of the card base exposed around the edges. I also stamped the “press here” from the MFT Interactive Labels stamp set and white embossed that at the appropriate location on the front. These normal LEDs wire up the same way as the Chibi stickers – you just have to make sure you match the polarity and make the contact between your copper tape and the LED leads on TOP of the tape because the adhesive side of the tape does not conduct current well enough. I did do a little practice run on a scrap of card stock to make sure these little lights would work and sure enough… seems every bit as good as those Chibi lights! After wiring the card base, I attached the card front using a double thickness of foam tape. Well..!!! I think that works great!! This simple card is extremely nice, clean, sharp and understated until you ‘press here’ and reveal the light! Really a bit of a surprise! I LOVE IT! Beware…! I have stocked up on some 3v button batteries and with all the LEDs Kate treated me to, I see a long series of light-up cards in my future..!! LOL!! That wraps up my 10 assorted cards with the Love From Lizi December ’18 Card Kit. I grew to really like the stamps and stencil in this kit as I worked with them, and am quite pleased with the variety of cards I managed to pull together. I did use all of the stamps in the stamp set (minus a couple bodies) and I believe I used a little bit of everything in our embellishments bag. I think the ‘with love” die was the only item I didn’t use on these 10 cards! Of course I have bunches of everything left over – five full sheets of the specialty pattern papers but only two full sheets of the double-sided pattern papers – that means I used pieces from 9 different pattern papers. It’s always the best feeling to finish up a batch of cards and then realize that you have enough left over to make a whole new batch! Of course, I file everything away in my stash for use whenever and wherever the spirit strikes me! This kit HAS SOLD OUT at lovefromlizi.com. If you want to guarantee you don’t miss out on any of the fun, become a subscriber and enjoy some terrific perks! If you go shopping at LFL please use my link: http://bit.ly/LFLlink ! Thank you SO MUCH for sharing your time with me here! I want to wish you and yours and everyone you care for a happy, healthy and safe holiday season. Please share this post with all who might be interested, list me, like me, pin me, post me, share me with all of your friends – don’t run with scissors! – and – HAPPY CRAFTING!!! Hello Folks! Scott here with my 10 Cards from the My Monthly Hero November 2018 Kit. This month we received a very unique kit that featured an A2-card sized Advent Calendar stamp and die collection. I never would have thought you could get 24 little windows on the front of an A-2 card! The 4.25″ x 5.5″ background cling stamp is the centerpiece of this collection and features 3 removable ornament stamps for a little added versatility. To go along with that cling stamp we got a 4.25″ x 5.5″ Ornament Flap Fancy Die that cuts out all the background ornaments while leaving a scored fold line at the top of each. To complete your Advent Calendar, we get a 4″ x 6″ clear stamp set with 41 small holiday icons and sentiments and a complete set of number stamps from 0 to 9. Finally, we are treated to two .5 oz. pots of Hero Arts embossing powder in Gold and Green-gold. At first glance, it seems like the options with this kit may be pretty limited, but after spending some time playing with these supplies, I discovered some interesting ways to create with this kit! Since we received embossing powders with this kit, I started experimenting with embossing the background stamp on different card stocks. Top row, L to R: LFL Silver Dollar embossing powder on Blue card stock, LFL Emerald City embossing powder on a red card stock, and the HA Green-gold powder on Kraft card stock. It seems that HA embossing powder gets very dark on colored paper. Then I have some WOW! Cloud 9 glitter embossing powder on Black card stock. That embossing powder sheds glitter very easily – no matter how much you melt it. I though I could stop the shedding by spraying a fixative over the top but, seeing as how the fixative was matte, it pretty much destroyed that whole piece! Live and Learn!! Second row, L to R: Ranger White embossing powder on blue card stock, the Hero Arts Gold embossing powder on a dark green card stock, the HA Green-gold embossing powder on white – the green-gold color works best on white I think – and the same powder on red card stock – very dark again. Finally, I stamped the center Bristol smooth card stock with VersaFine Onyx Black ink. I really think that background stamp is quite beautiful and enjoyed trying out different embossing colors and card stocks. Before I knew it, I had 9 different backgrounds ready to play with! So… let’s try an Advent Calendar card to start out with! This card front is the Love From Lizi Emerald City embossing powder on red card stock die cut with the ornament fancy die. I was a little concerned with getting an accurate stamping of the numbers on top of the embossing powder, so I reached for my old “Marker Micro” Alphabet die to cut out all the numbers from white card stock. These are 3/8″ tall numbers so they were sized perfectly for these ornaments. I did use the icon stamps on the front of a white card base for the images under the windows. I first cut out a blank of the ornament fancy die from a scrap of card stock and removed all the ornaments flaps to give me a template for stamping the images in the correct spaces. (You could use the windows in the die, but they are actually a little smaller than the cut windows) We could have used a few smaller icon stamps – I found it a little challenging to fill all 24 windows with properly sized unique images. I was able to use my watercolor markers to ‘color’ some of the solid stamps like the candlestick here, so all the images weren’t just flat stamps. I did add a Merry Christmas on the inside of this card using a die from the November 2017 Love From Lizi kit cut from dark green card stock. I LOVE this concept, but whichever way you choose to put these Advent Calendars together, it will take a firm commitment and a good amount of time – I would only spend this much time on a card for someone very special! However, that background stamp is a lovely foundation for a variety of holiday cards! This is the LFL Silver Dollar embossing powder on blue card stock – I really like this, and it’s not quite so Hanukkah-ish as the blue and white is! LOL! For the sentiment on this card, I reached for the Sending You Sentiments stamps and dies from Honey Bee. I die-cut the “Special delivery” from some silver card stock, the shadow from the same blue card stock, and embossed the “holiday” stamp in silver on a scrap of the blue. I also cut from some of the shadow dies out of white card as well, and glued a few layers together for a little chunky dimension. All the pieces are foam taped on top of that great background, and complimented on the inside with another Merry Christmas die cut from the silver card stock used on the front. Well, I like that! Really a great background image for holiday cards! Lets do more! I used the included gold embossing powder on dark green card stock for this background. I wanted to use this Lawn Fawn Scripty Joy die on this card and was contemplating putting it on a circle or square die cut when I realized it should go on an ornament! I turned to my Silhouette Portrait to create this large ornament cut from the same green card stock and topped with a gold mirror card stock hanger. I cut two of the ornament shapes and glued them together for some added stiffness, and die cut the “joy” from more of the gold mirror card stock and three layers of white card and glued them together for a thick sentiment. I did stamp the snowflake stamps from the kit in VersaMark ink for a little tone on tone pattern before I glued the sentiment on the front. I ran the edges of the ornament on a Delicata Gold ink pad and mounted that to the card front with foam tape. I did finish this card on the inside with this lovely (though small) stamp from the 12/16 My Paper Pumpkin kit. I like the variety of looks you can get using that background stamp with assorted embossing powders on various card colors. You can also use only a portion of that cling stamp for your backgrounds. This is the Green-gold embossing powder on some Kraft card stock and I simply fussy- cut the right edge of the stamp and foam taped it to a Kraft card base for an interesting edge. The card base is covered with a Spectrum Noir clear sparkle pen and the sentiment I pulled out of my own image stash and cut three layers of that on my Silhouette Portrait to make a nice thick sentiment. A little sparkle pen on the sentiment and we get a whole different look using that same background stamp! And that Green-gold embossing powder is rather interesting! You can also think about these stamps and fancy die as giving you 24 different (small) Christmas ornaments that you can use in a variety of ways. For this card I embossed the background stamp in Silver Dollar on a piece of card stock colored with the Hero Arts Sea Foam Shimmer spray that we received in our MMH June ’18 kit. I used the die cut to cut the whole panel and chose these seven ornaments to use on this card. I simply cut them off of the background at their score lines and attached silver thread to the back of each ornament. I created the frame using two Lawn Fawn Stitched Rectangle dies from another piece of Sea Foam card stock and attached the ornament threads to the back of the frame with some scor-tape. On a white glitter card base (old David Tuterra card base) I foam taped the frame to the card front and mounted all the ornaments with little pieces of foam tape as well – taking care to keep the hanging threads straight. I then added little silver bows to the top of each ornament with some Multi Media Matte glue. I die-cut the Merry Christmas from the same sea foam shimmer card to use as the sentiment. I really like the threads floating above the card base and between the embossing, the shimmer spray, the silver thread and the glitter card base, there is lots of sparkle to this card! stamped with VersaFine Onyx Black ink on Bristol smooth card stock and colored with my Zigg Clean Color Real Brush Markers. A fun coloring challenge to make 24 ornaments look different, but I really like how this came out. I liked it so much, I simply added this panel to a white card base and embossed the Merry Christmas Sentiment (from the Simon Says Stamp Christmas Squad stamp set) using Onyx Black ink and clear embossing powder. I trimmed that down to a simple rectangle and mounted it to the card front with some foam tape. This background stamp is lovely all by itself and is perfect for holiday cards. Now I turned my attention to the 4″ x 6″ clear stamp set with all those little icon images. You know I just have to make a wreath! I stamped this wreath using my home-made wreath-builder template on plain white card stock and used my watercolor markers to stamp with. I stamped the “be merry” sentiment from the stamp set using the same markers and embossed that with VersaMark ink and embossed it with some clear embossing powder. I die cut the panel with a LFSRD and attached that to red and green card stock mats. I found this holiday ribbon in my stash and ran it through my Xyron sticker maker to cover the back with adhesive, and glued that to the card front and wrapped the edges around the mats before gluing all down to a plain white card base. I added a double bow using the green ribbon from the kit, and attached some gold gems from my stash for a little extra bling. I like this ‘wreath’ a lot – perfect for Christmas! There has to be more ways we can use these little icon stamps! This idea was prompted by another sentiment stamp from the “Squad Goals” stamp set. Who could resist all these gingerbread men lined up in a row? The cookie and candy stamps worked perfectly too. I used my Tim Holtz stamp platform to do all of the repetitive stamping using a variety of inks from my stash, and embossed the sentiment in the center using Onyx Black ink and clear embossing powder. I finished out the edges with a striped stamp from the Simon Says Stamp Crafty Friend Stamp set, and trimmed the panel down to mount on a Kraft card base. A couple of tree jewels from my stash help compliment the Christmas theme and add a little touch of sparkle! YUMMM! Looks like a Christmas tree to me!!! I used every image stamp from the stamp set on this tree except for the 3 snowflakes and the ‘kiss’ mistletoe. 26 stamps including the “Bring Cheer” stump!! I also limited myself to using only Distress Oxide inks (the first release) for this image and I really like the slightly subtler color palette of this card. Colorful but a big contrast to the Zig marker colored background! Some small white pearl embellishments from my stash add just the right shine and a little dimension to our tree. A simple thin black mat glued behind the front panel, then to a white card base and we’ve got another interesting way to use this stamp set! I didn’t want the ‘kiss’ stamp to feel left out, so I used it along with the SSS “Merry Christmas” stamp (both still in the Distress Oxide inks) for our sentiment on the inside of the card. I adore this card! Feels like I can forgive the narrow focus of this kit after making this! I still had one technique that I wanted to try with this background cling stamp and die. Yup! I wanted to try to foil these ornaments. I recently got some of this rainbow deco foil and I thought it would make these ornaments look like those old mercury glass ornaments. My grandmother had a few of these ornaments and I remember how colorful and shiny they were. It did take me a few tries to get this to work – I thought that the die might work as a stencil, so I tried using some deco-foil transfer gel through the die and foiling the gel but I could never get a solid smooth application of the foil. Ultimately, I stamped the ornament cling stamp using Hero Arts Unicorn White ink on a piece of black card stock and cut it out with the fancy die. I turned to my deco-foil adhesive toner sheets and foiled a 4.25″ x 5.5″ piece of toner paper, die cut it with the fancy ornament die, cut away all the ornaments along their score lines, and stuck them to the top of the original black die cut ornaments. This Worked Great!!! So Very Pretty! I wasn’t particularly thrilled with the ‘image behind the window’ concept so I came up with something a little different to go behind the window on our Advent Calendar Card. How about activities with a holiday theme! Like this one… “Make ornaments for the tree” – a perfect activity attuned to the holidays. I didn’t want to use any numbers on the ornament windows – you can open them in any order you choose – and who wants to cover up any of that lovely rainbow foil! But I did add that pretty Paper Pumpkin “Merry Christmas stamp on the inside of the card. Here’s the rest of the ‘activities’ that appear behind the windows on this card. I used my Silhouette Software to create this printable file with little suggestions for fun holiday activities that show up behind all of the windows instead of simple images. After all, most Advent Calendars have a reward or a treat behind each ‘door’ and it felt like a simple image wasn’t enough to build up some anticipation for the coming of Christmas! Some of these ‘activity’ suggestions are crafty, some are charitable, and some are just plain fun! Not only is this encouraging participants into more than just ‘getting a present’, but being able to print this as a backing for the ornaments certainly beats having to stamp 24 different images! I think this idea make these stamps and dies much more useful to the average card maker. In fact, If you would like a copy of this Silhouette file for your own use, just go to the contact page and send me an email requesting the file and I’ll send it to you asap! I did find that stamping the background cling stamp on a larger than A2 card stock to begin with, makes die cutting the image a lot siompler, and, since the die cuts the outline anyway, go ahead and make it easier on yourself! Well, I did it! 10 different cards from this kit! I feel quite accomplished and very excited for the holidays after working on these cards. I’m sorry this post is a little delayed… we took a little extra time off over the Thanksgiving holiday to spend with family and friends! I do think this is a pretty good variety of Holiday cards this month – I did manage to use 32 of the 41 stamps (no numbers either) and I honestly believe that the ornament cling stamp and fancy die are worth every penny and should get lots of use over the years! Thank you so much for sharing your time with me here. I hope I was able to provide you with a little inspiration and some unique ideas on how to use this My Monthly Hero November 2018 kit. Please share this post with anyone you think might be interested, please link me and post me, and pin me and share me with all your friends… don’t run with scissors… and Happy Crafting! Hello Folks! Scott here unboxing the Love From Lizi December 2018 Card Kit! This is a rather vintage feeling card kit featuring lots of flowers and butterflies and gobs of assorted embellishments. Plenty of pink for those who missed pink in last month’s kit! We get our standard five sheets of card stock in letter size (8.5″ x 11″) with two sheets of super-smooth alcohol-marker-friendly white, Forest Green, Smokey Gray, and Vanilla Ivory. For our Specialty card stock this month, Lizi has treated us to two full-size sheets of Gold and Silver Satin Mirror card. LOVE these full sheets! Plenty of leftovers! For our pattern paper this month, we get 16 sheets of 8″ x 8″ pattern paper of which eight are specialty pattern paper. The three on the top left have glitter accents, the next three have spot gloss accents and the last two on the bottom right are a heavy canvas texture. These specialty patterns are single-sided, but the other pattern papers are double-sided. Featuring floral patterns and a soft color palette, this side of the remaining eight pattern papers have bold patterns in geometric arrangements and natural botanical designs. While the reverse of those papers emphasizes the same color palette with some classic polka-dots and soft fabric textures for a more subtle pattern. Lots of papers to use! We get a new LFL color of peel-offs this month – Sky Blue Mirror! I think these match last month’s Wedgewood Blue Nuvo Drops almost perfectly! We are also treated to a sheet of puffy stickers with six different sentiments, some butterflies, birds, flowers and hearts. These stickers are all nicely sized and feature plenty of pink! LOL! I knew it was only a matter of time before I received a butterfly stamp set. I have never been a big fan of butterflies – I tend to think that they are over-used on hand made greeting cards – but this is actually a very nice stamp and stencil set. This is Lizi’s “Flutterby” stamp set and stencil, and they are designed to compliment each other . The stencils are sized to match the stamps so you can do ink blending and other effects before (or after) you stamp the butterflies. There are also separate butterfly bodies of assorted sizes in the stamp set as well! I REALLY appreciate that and don’t think I have seen that with other butterfly stamps. Other than the butterflies, the stamp set also includes three nice sentiments: “Live laugh, Love”, “Spread more love”, and “Have a beautiful day”. I’m looking forward to experimenting with this stamp and stencil set! Which brings us to our final package in this month’s kit – the Embellishments Bag! From left to right, and top to bottom, our goodie bag includes 5 white mini doilies, a sheet of various sizes of adhesive pearl embellishments in off-white, gold and soft pink, a full pot of embossing powder in a new Love From Lizi color – Ivory Pearl, and our sample packet of the Flutterby sequin mix (no pinks in the mix!?). We get another full-sized bottle of Nuvo Drops in Plum Pudding (I believe that is a new color too!). We get a package of 35 heart shaped buttons in dark purple, mauve, and a soft lilac mauve. I happened to get a pink one too! I think Lizi included that one just for me! LOL!! Once again, our ribbon selection this month is all neatly wrapped on a great cardboard spool – I LOVE that! We get four one meter lengths of lace trim – one in ivory and the others in white – easily colored with a variety of mediums! Never fear, there are more flowers here… five paper flowers of varied sizes and colors on long wire stems. Interestingly enough, we also get a huge assortment of triangle bunting pieces in different sizes and patterns with a compliment of twine for stringing them up! Last but not least (and one of my favorites in this kit) we get two wafer dies – a script-y “thank you” die and a heart and arrow die featuring “with love” in the center of the heart. I have been waiting for some kind of “Thank You” sentiment to come in one our LFL kits and I am thrilled to get this “thank you” die this month! Thank YOU, Lizi! LOL! As of posting, this kit is still available at lovefromlizi.com. There is also a bunch of add-ons and new coordinating products for your shopping pleasure. Remember, subscribers have through November 25th to add items to their kit with no extra shipping charges – and if you do go shopping with Lizi, please use my link: http://bit.ly/LFLlink. Thank you so much for sharing your time with me here – please pass this post along to anyone who might be interested – keep an eye out for my 10 Cards 1 Kit video featuring this kit, and as always… Happy Crafting!